PPE – based in Teesside (UK) – has been contracted to design and create pig launchers and receivers to be used on a sea-tank terminal near Antwerp in Belgium. Due to the location, the company needed to take into consideration the stringent Belgian gas regulations required when creating the products. 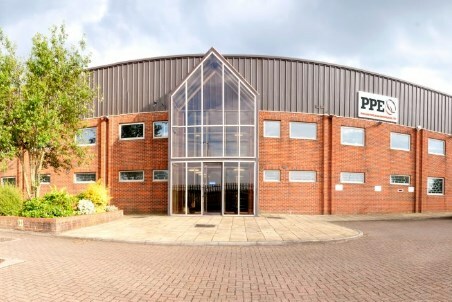 With a growing reputation in the international market, PPE has been chosen to supply its specialised pipeline products to a division of Circor Energy known as Pipeline Engineering. The company will be adhering to specialist client requirements, such as designing the pig launchers and receivers in 16 x 20 in. and 12 x 16 in. measurements as well as staying in line with strict criteria set out by the Belgian government. PPE already possess vast experience in creating tailor made products to both client and various international industry standards. One of the main objectives of the sea-tank terminal project is to safely transport gas making sure the product flows as efficiently as possible. PPE’s pig launchers and receivers will be used to ensure the product achieves this thereby lowering cost and increasing the speed and quality of the gas. Already underway, the project is expected to take over five months from design approval. Designed and manufactured at PPE’s impressive facilities in Skelton, covering 56 000 ft2 in total, PPE monitor every aspect of the process to ensure products meet and exceed client requirements and are expertly crafted to guarantee they are consistently of the highest quality. Established in 2008, Pipeline Precision Engineering Limited is a UK based company providing a full turnkey service from concept and manufacture right through to testing and deployment to site. Over 80% of products are sent across the world to international clientele.